Blue Cat’s Destructor has already been reviewed by French website audiofanzine.fr. 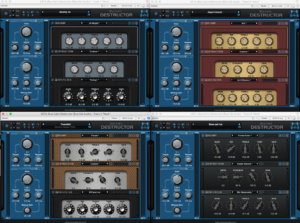 The plug-in gets an excellent review: 4.5 out of 5, and a “Great Value” award. Even if you don’t read French, you will want to check it out and listen to the 60 audio samples that cover a wide range of styles and applications. This entry was posted in Reviews and tagged Destructor by bluecat. Bookmark the permalink.